NEW YORK--(BUSINESS WIRE)--Lightweight metals leader Alcoa (NYSE:AA) today announced a long-term supply agreement with Boeing for multi-material aerospace parts. 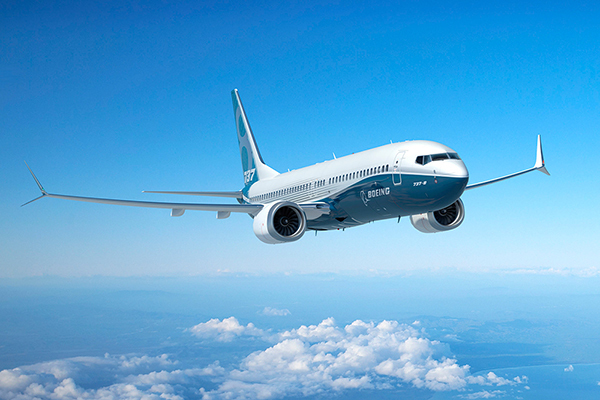 Under this agreement, Alcoa will supply components for the 777X—Boeing’s newest commercial airplane—the 737 MAX—scheduled for first delivery in 2017—and the 787 Dreamliner. The deal draws on capabilities gained through the Firth Rixson acquisition and the Company’s new aluminum-lithium facility in Lafayette, Indiana. Large, near net shaped parts that improve the efficiency and help reduce the costs of Boeing’s in-house machining. This transaction is the fourth multi-year agreement recently announced with Boeing. In December 2015, Alcoa announced long-term supply contracts with Boeing for fastening systems and titanium seat track assemblies. In September 2014, Alcoa announced a significant Boeing contract win which established Alcoa as a sole supplier of wing skins on all of Boeing’s metallic structure airplanes. Alcoa has secured approximately $10 billion in aerospace contracts since the start of 2015, including the Boeing transactions, drawing on the Company’s growing aerospace portfolio. Alcoa Forgings and Extrusions, a major business unit of Alcoa Inc. (NYSE: AA), is a global leader in the manufacture of lightweight materials and structures in aluminum, titanium and superalloy. AFE is also a leading ingot supplier of proprietary aluminum and other advanced alloys that include aluminum lithium and nickel-based superalloys. Serving the aerospace, military, transportation, energy and industrial markets, its products are primarily used in commercial and military aircraft, commercial vehicles and oil and gas exploration.